The Homestar rating tool is not only about a home being eco-friendly but also rates the performance and how comfortable it will be to live in. We consider the tool a real benefit to the home owner and the community as we have always shrived to design and build better homes but without a clear and simple way of showing what good design can achieve people can’t appreciate the smaller details the make a good design great. 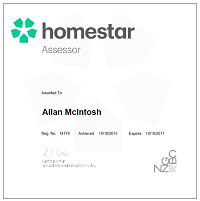 We now have a registered Assessor and are using some of the ideas and systems in all our design not just the Homestar rated ones. Homestar was developed by the New Zealand Green Building Council in partnership with BRANZ, Beacon Pathway and various experts in sustainability and building science. Homestar does not endorse particular products or brands. However we do want to make it easy for you to connect with some of our partners who we think can help you improve your home with independently tested or rated solutions.